Edgecombe Community College's Travel Abroad Program: Welcome Back! Welcome back to the ECC Travel Abroad Program blog! 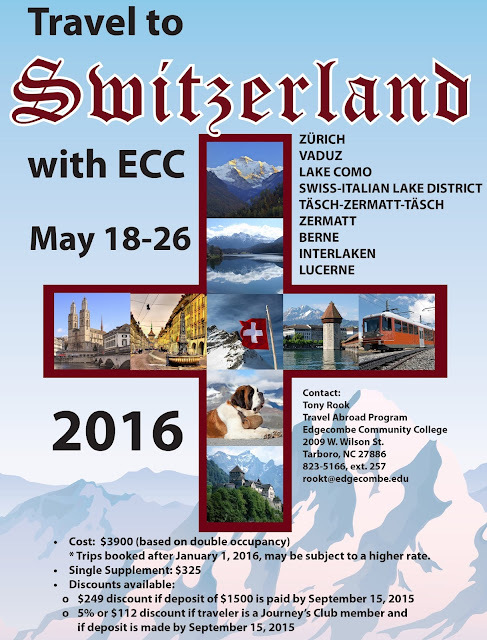 Make plans now to join us on our upcoming trip to Switzerland, May 18-26, 2016. Just click the image below for more information.